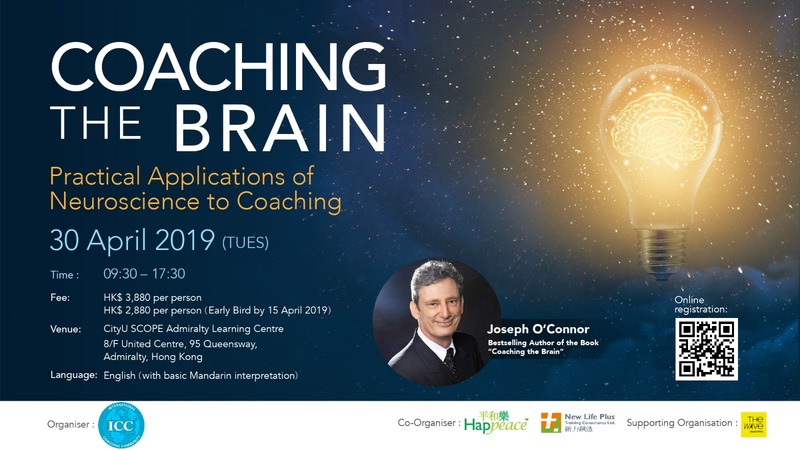 This workshop is based on the new book that is transforming coaching, Coaching the Brain – Practical applications of neuroscience to coaching, by bestselling authors Joseph O’Connor and Andrea Lages. “Coaching the Brain is an enjoyable, informative and practical guide for coaches to help their clients grow, change and improve. Every coach needs to know how the brain functions and how that relates to coaching.” Robert Dilts, Co-founder of NLP University and generative coaching. Neuroscience has added a huge amount to our understanding of the brain and how it works. It provides your practice with new perspectives, new tools and new ideas. Neuroscience is advancing quickly and it’s disrupting many standard psychological models. Coaching is based on psychological models. Without understanding neuroscience, a coach risks applying outdated models. The workshop is ideal to professional coaches, Corporate and HR Managers and Consultants, and all who are interested and passionate in the artform of coaching! The event is organised by International Coaching Community Greater China and co-organised by New Life Plus Training Consultants Limited and happeace.